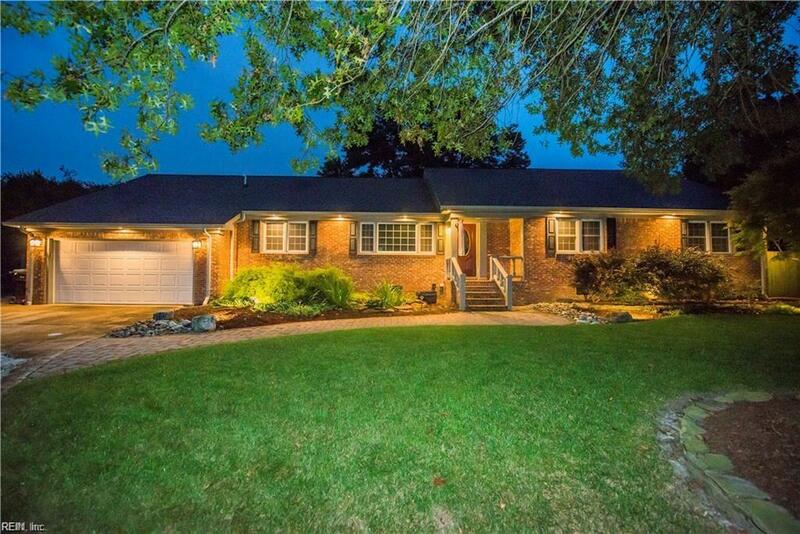 This beautiful Fairfield home, nestled on a quiet lot in the heart of Kempsville, is truly one-of-a-kind. Invitingly spacious and meticulously cared for, the home features many special details such as gleaming hardwood floors, an open concept, and many other updates throughout. The eat-in, gourmet kitchen is designed for high-end entertaining and elegant gatherings of all types: enjoy custom design features, high end appliances, granite countertops, heated tile flooring, and more, along with charming bay windows in the breakfast nook area. Outside, enjoy amazing curb appeal and a peaceful backyard haven all your own, where a multi-level deck invites you to relax with a morning cup of coffee, entertain with friends, or spill out onto the well-manicured lawn. Conveniently located on a cul-de-sac with easy access to 64 and 264. Maintenance free exterior, newer roof, windows, HVAC and more!!! Double gate to backyard allows for RV or Boat parking! !